Sky Sports, who just over two months ago won the rights to broadcast Scottish football for five seasons from the 2020/21 campaign, have blundered again in their coverage of the game in Scotland - by displaying the Hearts badge next to the Hibs team name in their coverage of the Ladbrokes Premiership. Hearts are at home to Dundee while Hibs have travelled to face Motherwell. 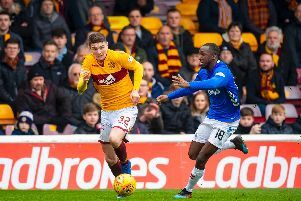 Yet despite the two clubs being among the oldest in Scotland, with a rivalry dating back to the 19th century, the broadcaster managed to muddle up the two crests as they previewed the clash at Fir Park. Sky Sports have previous for blundering in their coverage of Scottish football, most recently using an image of former Hearts boss Ian Cathro to promote the Edinburgh derby on December 29 last year. They have also mixed up the two Dundee clubs, and used an image of Clint Hill to promote an Old Firm clash when the player had already left for pastures new.